I first met Nelson Mandela at Jan Smuts Airport, Johannesburg. It was in September 1990, and I was in Johannesburg as the guest of Jim Bailey, the publisher of the Pan-African Magazine, Drum. I had been the Ghana editor of this paper in1961-65 and Bailey wanted me to edit a compendium of the articles published during the period. Nelson Mandela had been released from prison only seven months before I arrived and South Africa was still teeming with journalists, each anxious, of course, to secure an exclusive interview with the world’s most famous ex-political prisoner. I put in my own application, without expecting to receive any response. However, I kept phoning the ANC press office, and one Saturday morning, I struck pay dirt. When I mentioned my name, the guy at the other end of the line said : “I know of you! When I was in exile in Lusaka (Zambia) I used to listen to your dispatches from Accra to the BBC.” He then began to consult his colleagues in a whispered conversation. I thanked him and drove straight to Jan Smuts. I went to the VIP lounge – surely, Mandela would have to leave the country that way? But after hanging around there for about half an hour, I saw no sign of him. So I made my way to the general departure lounge and scanned the faces of people in the crowd. I recognised one: the late Thomas Nkobi, treasurer-general of the ANC. I was talking to Nkobi when suddenly, Mandela himself came walking towards us! Two of his beautiful grand-daughters were with him. They were the only “bodyguards” he thought he needed! You see, his physical bravery was extraordinary, and perhaps even foolhardy, considering the nature of the racist right-wing lunatic fringe in the country, which was breathing fire and which in fact eventually murdered Mandela’s Number Two, Chris Hani. Anyway, Mr Nkobi introduced me to Mr Mandela as a journalist friend from Ghana. The irony of the situation was not lost on me. Nkrumah was the loudest champion of African liberation, whereas Tubman was regarded as a ‘sell-out’, because of Liberia’s close relationship with the United States. Yet Nkrumah had denied himself the opportunity of meeting Mandela on Mandela’s dangerous secret trip across Africa, which had enhanced his reputation as “The Black Pimpernel”, who could give the slip to the ubiquitous Bureau of State Security (“Boss”). The second occasion on which I met Mandela was when I visited his home in Houghton, in the company of the Nigerian politician, the late Chief Moshood Abiola. We were waiting in his living room downstairs, which was packed with ANC cadres, when he suddenly made his entry. He took one look at the room and realising there was no empty chair for him, he darted towards the dining table and grabbed one. He was making his way into our midst with I when I jumped up like a bitten rabbit and took the chair off him. It was quite heavy. How could a 74-year-old man even conceive of picking up such a chair? Prison had made him extremely self-reliant – I noted in my head. As in our first meeting, Mr Mandela astonished me with the sharpness of his memory. After 27 years in jail, he remembered names like “Alhaji Ahmadu Bello, Sardauna of Sokoto [Nigeria]” and “Alhaji Sir Abubakar Tafawa Balewa, prime minister of the federation of Nigeria”with ease. He told us the Sardauna of Sokoto, despite being largely written off as a “conservative” Anglophile, had given the ANC“ten thousand pounds sterling” – a considerable sum in 1962. The third occasion I met Mandela was also an unforgettable moment. Mandela was now installed as President of South Africa, in the Union Buildings in Pretoria. He had invited me and a Nigerian friend to have lunch with him and his Foreign Minister, the late Alfred Nzo, to brief them about the arrest and detention of his friend, chief Moshood Abiola, by the Nigerian military dictator, General Sani Abacha. As we lunched on fried chicken, I came to realise that Alfred Nzo, the Foreign Minister who was supposed to advise Mandela on difficult foreign policy issues, was not the slightest bit interested in the conversation. He in fact did not utter a single word. If Mandela had to cope with such people in his Cabinet, how would he succeed in solving South Africa’s problems? The finale in relations between Mandela and Abacha came in 1995, when the Nigerian writer, Ken Saro-Wiwa, and eight other Ogoni environmental activists were sentenced to death by a military tribunal set up by Abacha. Appeals went out to Mandela to talk to Abacha to reprieve them. Again, Mandela tried secret diplomacy. And again, Abacha rebuffed him –he hanged Saro-Wiwa and his fellow condemned men on 21 November 1995. The world press, unaware of what had been going on behind the scenes between Mandela and Abacha, excoriated Mandela for“failing” to use his influence to make Abacha show mercy. I sensed that Mandela might want to tell his side of the story to someone he trusted and I faxed him a request for an interview, to which he agreed. President Mandela gave me the most unforgettable interview in my professional career. Uniquely, in relations between serving heads of state in Africa, MANDELM bluntly described Abacha as a “brutal dictator” who had set up a “kangaroo court” to murder Ken Saro-Wiwa and his fellow Ogonis. He called on the Nigerian opposition to intensify their efforts to get rid of Abacha. (The Observer 26 November 1995. See article at bottom of page on how The Observer helped Mandela and the ANC)). My involvement with South Africa is of a long-standing nature.. It began in 1960, when I, as a young editor at the Ghana Broadcasting Corporation, was at the teleprinter desk, looking for news about a census that Ghana was holding. 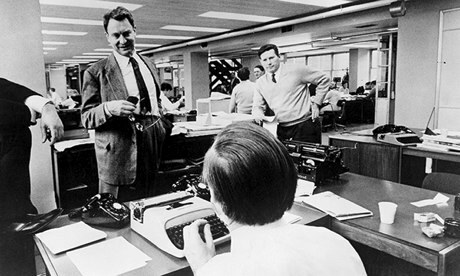 Suddenly, the teleprinter stopped clacking and after a few seconds, Reuters sent the words, “news flash”. The news that came through was that 69 Africans had been killed at Sharpeville, in South Africa. This sad story had a profound effect on me. Because, as the news came through, you could see that the people had been shot mainly in the back, as they were fleeing from the police.It was pure pre-meditated murder! And there I stood — an African editor in the national broadcasting station, with no whiteman supervising me. And I could imagine that if I was in South Africa, the job reservation laws would never allow me into the newsroom in the first place. I was immensely angry at this thought and I became very interested in the South African struggle. And I was all the time hoping and praying that the situation would change. Then, in 1990, we got the news that Nelson Mandela was going to be released. Was it really going to happen? Was South Africa going to be governed by the black majority, not through the war we had been fearing but through peaceful negotiations? And it was announced that, on 10th May 1994, Nelson Mandela, after having won the first all-race elections in South Africa, would be “crowned” President of South Africa! People think wrongly that apartheid, or racial discrimination, only started in South Africa in 1948, after the Nationalist Party had come to power. But in fact the earlier English-speaking (British-controlled) administration was also racist. So it was over ninety solid years and more of formal oppression of the blacks by the whites that were coming to an end. And I was invited to come to the installation of President Mandela. And I got there. I couldn’t believe it. I saw these South African Defence Force people in full uniform – including the feared police murderers! I sat in front of the dais amongst the VIPs! And there, before my very eyes, was this black man who had been in prison for 27 years, swearing the oath to be the President of South Africa. I mean — I was crying like a baby! And after Mandela had been sworn in, they played the ANC’s national anthem, “Nkosi Sukeleli Africa”, and everybody in uniform — white and black — stood to attention and saluted! Ah? But it had still not sunk in. I was crying buckets still, but it hadn’t really sunk in. Then I saw Thulami Tambo, the daughter of Oliver Tambo, actually standing on that dais, with a clenched fist salute: the African National Congress salute! front of all those people, including the former bosses –in front of all those uniformed people who, only five years or so earlier, would not have hesitated to shoot her if she had dared to brandish a clenched fists at them. I mean — the Bureau of State Security, (BOSS) had its armed agents all over the place! But Oliver Tambo had involved his children, as young kids, in the struggle, and the moment Nkosi Sikeleli Africa was played, up came the clenched fist salute — automatically — from Thulami!. And that was when it sank in. Yes! We had won! WE HAD WIN! WE HAD WON! Amazing! And after that, South African military jets flew over our heads, saluting us. There were all these strongly anti=apartheid African leaders: Julius Nyerere, Kenneth Kaunda and others – people who had been fighting against the racist South Africans for this moment to happen. And the jets just flew over our heads – those self-same military jets that had been trained to come and bomb us, the enemy to the north. They were now flying in salute to us: us who sat in front of the dais in the Union Buildings on Pretoria that day. It was quite simply — incredible. Never, ever, to be forgotten. And I just thanked God I was blessed to be there, buckets of tears and all. That day, I truly couldn’t care less who saw me in a flood of tears! “I wonder whether you realise how much you and the Observer must be largely responsible for Nelson’s life?” Mary Benson wrote to David Astorin 1964. Astor had edited the Observer since 1948, changing it from a stuffy, Tory-supporting organ into a non-party, liberal-minded newspaper, famed for the quality of its writing. Mary Benson was a South African-born writer and anti-apartheid activist who had returned to her native country five years earlier to run the Treason Trial Defence Fund, set up after the mass arrest of African National Congress leaders, including Nelson Mandela. Africa in general, and South Africa in particular, loomed large in Astor’sObserver. He attributed this in part to his hero and mentor George Orwell, who had urged him to concentrate on the decolonisation of Africa now that the Indian subcontinent had achieved independence. Anthony Sampson, who reported regularly from South Africa for the Observer, suggested that Astor’s interest in black Africa was, in part, a reaction against his overbearing mother, Nancy, who had grown up in Virginia and treated black people with condescension. “So you work for my son David, with all those niggers and communists?’ Nancy once asked Sampson. Also noticing the contingent of German-speaking emigres at the paper in the postwar years, she described the Observer as being “written by Germans for blacks”. Whether or not Sampson was right, Astor was aware Africa had been much neglected by the British press, and set out to remedy matters. Link to video: Nelson Mandela, the Observer and the liberation of South Africa from apartheidIn 1948 DF Malan’s National party won the general election in South Africa, so paving the way for apartheid, and Astor warned of what lay ahead in an eloquent leader, The Meaning of Malan. From now on, the paper would keep a close watch on South Africa, and Astor’s interest in the subject was complemented by committed and well-informed journalists on the paper. Colin Legum had left South Africa in 1949 to fight apartheid from outside, and remained under a banning order until 1989: he was, according to Astor, “a pioneer in persuading the educated public to take an interest in Africa”. Anthony Sampson joined the Observer in 1955 after spending five years in Johannesburg on Drum magazine, and covered the treason trials for the paper, together with his colleague Cyril Dunn: “We are very grateful for the Observer‘s continual and excellent reporting,” Benson told Astor. Nor did Astor restrict his activities to professional journalism. In 1953 he published Trevor Huddleston’s article For God’s Sake Wake Up, lambasting the South African regime. He befriended and encouraged campaigners such as Michael Scott and Benson, and did his best to defuse the explosive rows that broke out between Canon Collins, who raised much of the funds for the defence in the ANC treason trial, and his fellow clerics, Huddleston and Scott. He funded the Africa Bureau, set up in 1952 to explain Africa’s problems and needs to the world at large. And when, in 1960, Harold Macmillan set out on his “winds of change” tour of Africa, he published an open letter from Alan Paton to the prime minister urging him not to give any support to apartheid when in South Africa. In 1960 Mandela went underground, organising protest strikes and reluctantly abandoning the ANC’s policy of non-violence. The following year he slipped out of South Africa, travelling round Africa before arriving in London in 1962. “I’ve come to thank you for all your paper has done for our people,” he told Astor when they met in the Observer offices, with Legum and Michael Scott. Astor introduced him to the Labour and Liberal leaders Hugh Gaitskell and Jo Grimond, but neither had heard of him. Back in South Africa, Mandela was arrested under the Sabotage Act, and put on trial with three of his ANC colleagues. Astor wrote to Rab Butler, the foreign secretary, urging him to do all he could to “save the life of the outstanding African leader in South Africa, and also one of the most moderate … He has a high standing with the heads of government in the rest of Africa, and has made a favourable impression on all who have met him.” Butler thought intervention would prove counter-productive. Life on Robben Island was a brutal affair, but Astor was determined to make it more bearable for Mandela. He got in touch with the high commissioner in Pretoria, arranging for Mandela to be sent books by Arthur Koestler, Churchill and others. These were followed by a supply of legal textbooks, so enabling Mandela to study for a London University law degree. By 1970, the British ambassador reported, Mandela’s cell was brimming over with some 2,000 books. Astor resigned as editor of the Observer in 1975, but his involvement with South Africa was far from over. By the mid-80s the Free Mandela campaign was in full swing, and the business world was having second thoughts about South Africa – led by Consolidated Gold Fields, Cecil Rhodes’s old company, and hitherto the staunchest defender of the status quo. Astor and Sampson arranged meetings between ANC leaders and British bankers, businessmen and Tory politicians brave enough to risk Mrs Thatcher’s disapproval. Astor lent the Manor House at Sutton Courtenay to Oliver Tambo; guests at a lunch included George Soros and Evelyn de Rothschild as well as Thabo Mbeki and Tambo. Astor wrote to his old friend Henry Kissinger, asking whether “you might be able to use your great influence to persuade Americans to take a more realistic view of the ANC”. And, at Tambo’s request, he funded and helped to set up a body that would provide training in business and administration for young ANC members. He did not overlook Mandela, who in 1982 had been moved from Robben Island to a maximum security prison outside Cape Town. Always the most generous of men, he provided Winnie Mandela with funds, and arranged Mandela’s grandson’s schooling; and when, in 1990, Mandela was finally released, he must have known that he, and the Observer, had done all they could to bring about change in South Africa and destroy the evil of apartheid. But he had no illusions about the future. The important thing, as far as he was concerned, was for his fellow liberals to recognise “the right of the Africans to majority rule, even if that majority is not liberal”. Jeremy Lewis is working on a biography of David Astor, to be published by Jonathan Cape.